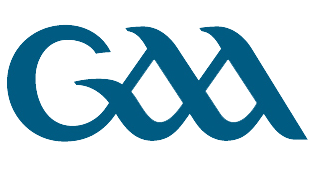 The U16 Girls travel to Domhnach Mor on Sat 23rd at 1pm. 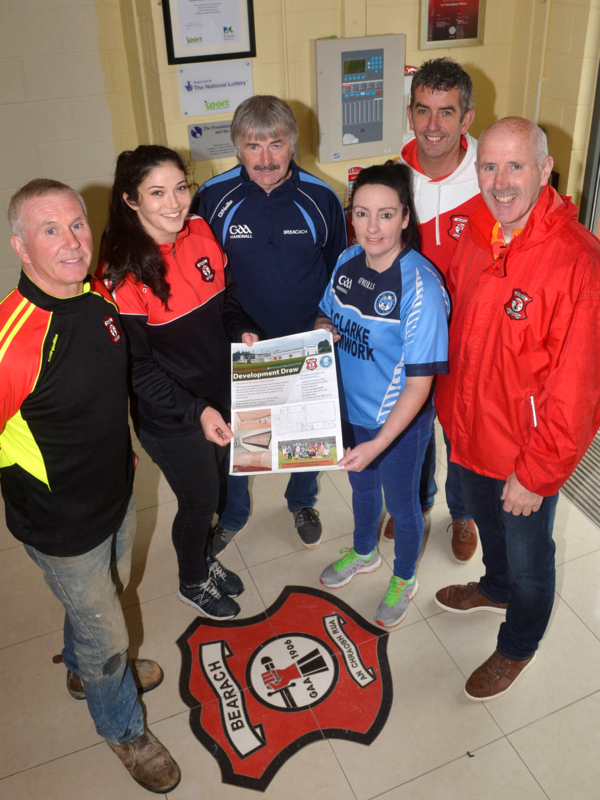 They then play their Championship Quarter final on Sun 1st Oct at 2pm, away to Trillick. The U16 Boys play their Championship game quarter final away to Clonoe, details TBC. 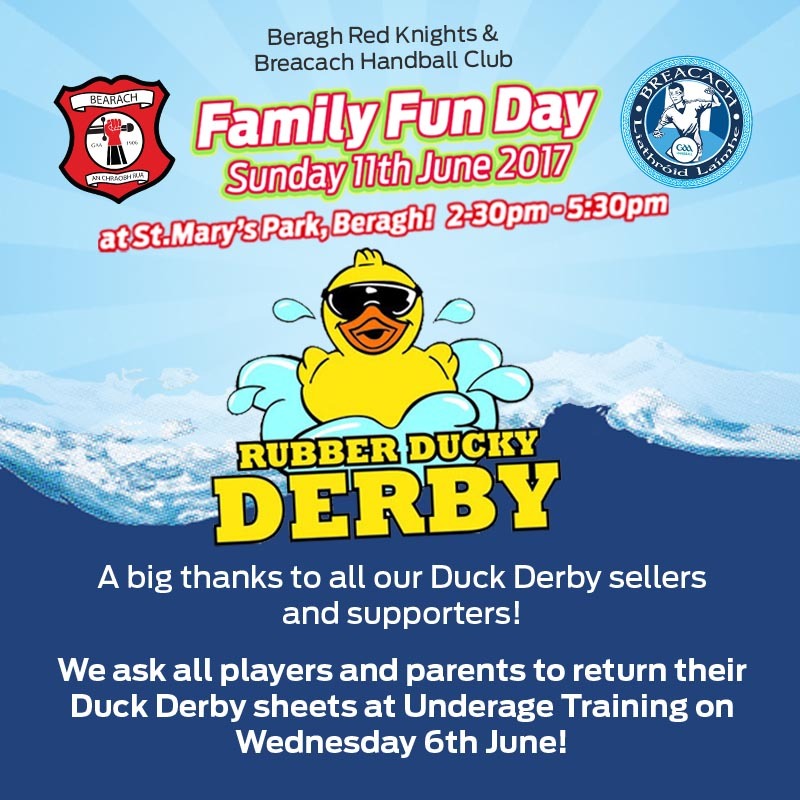 Click here to be directed to a PDF file with all the names and numbers of each duck for our Fun Day tomorrow! Check your number…will it be the quacktastic duck to cross the finish line first and win £100?!? 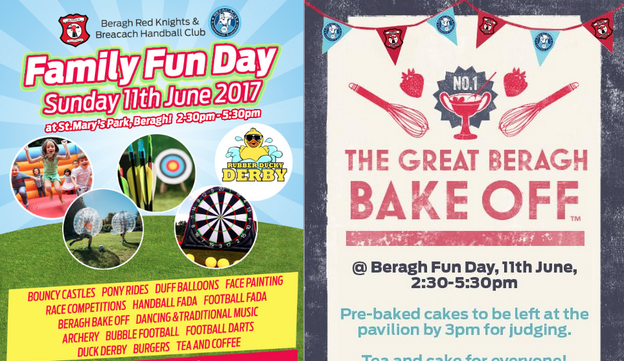 Family Fun Day on Sunday! 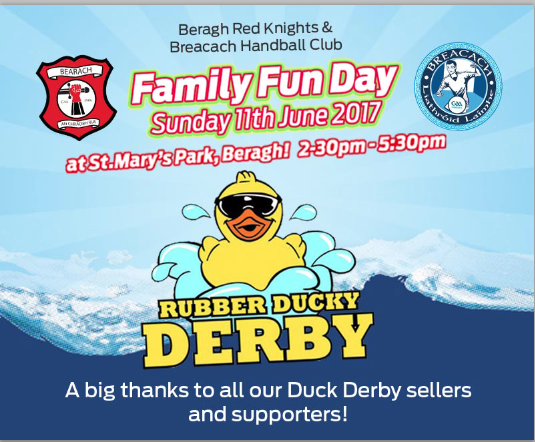 WE HAVE ALMOST 1000 DUCKS TO LET LOOSE ON CLOUGHFIN RIVER thanks to everyone who sold and bought……come and see if ur duck crosses the finishing line for £100 and come and see can Gérard Loughran and Seamy Boyle catch them all at the end!!!!  Good luck!. 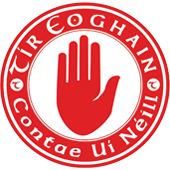 The Reserve & Seniors travel to Clogher on FRIDAY for 6:45pm (Reserve) and 8:00pm (Senior). Please note this game has been changed from Saturday. The Seniors ladies travel to trillick on Saturday for 8pm. 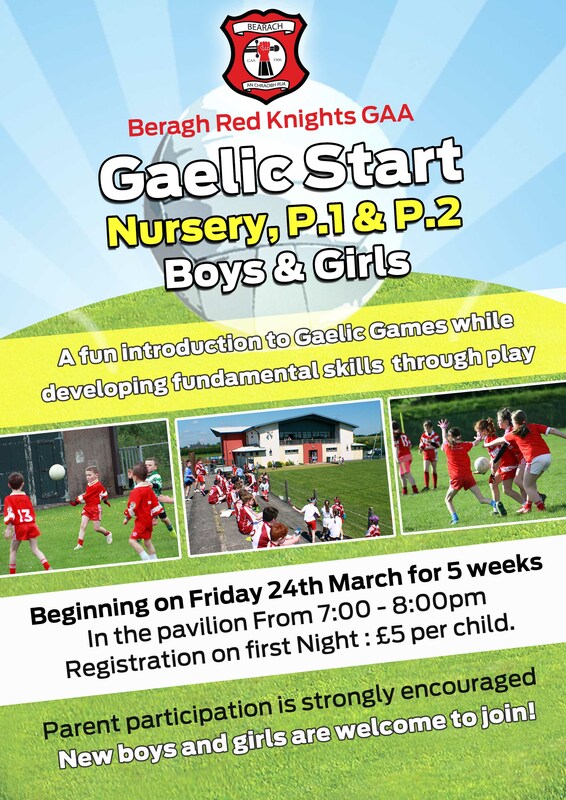 This weekend the U14 Boys play Clann na nGael at home on Saturday, throw-in at 1pm. The U14 Girls play their 3rd league game on Saturday, away to Galbally for 4pm throw-in. 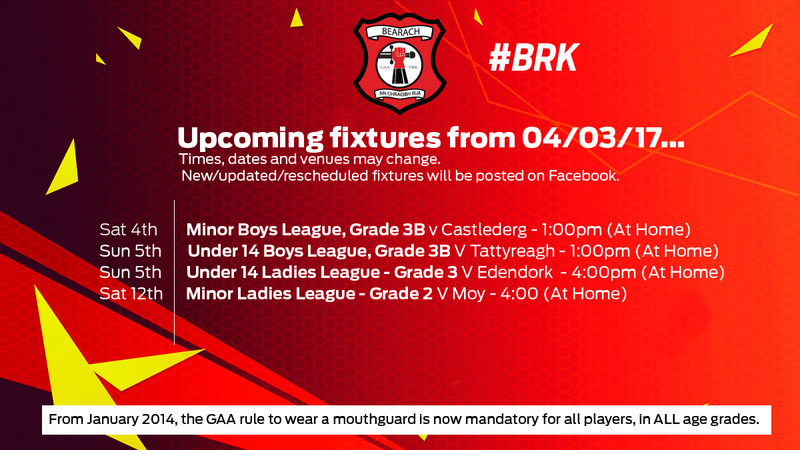 The Minor girls also welcome Edendork to St.Mary’s Park on Sunday for 4pm throw-in. A number of our teams have their first games this weekend as the fixtures get underway with three home games! 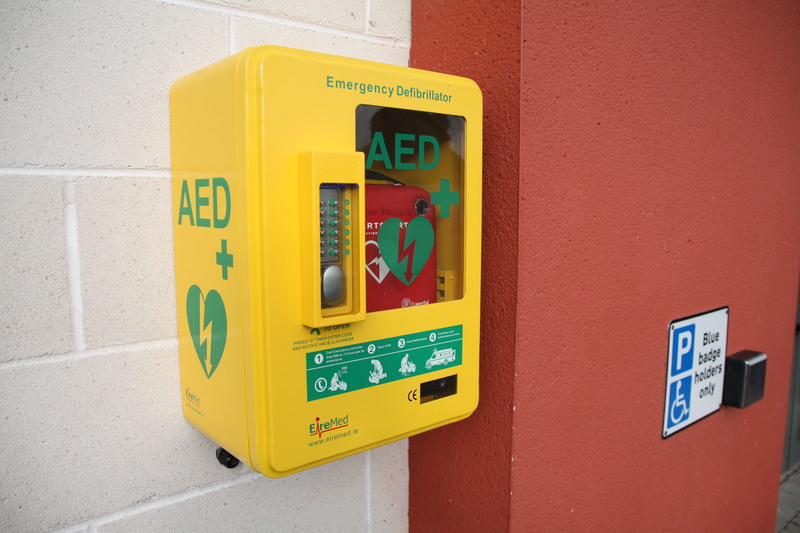 All support is appericated so wrap up well and get to St.Mary’s Park. We wish our teams and managmenet well for the year ahead. 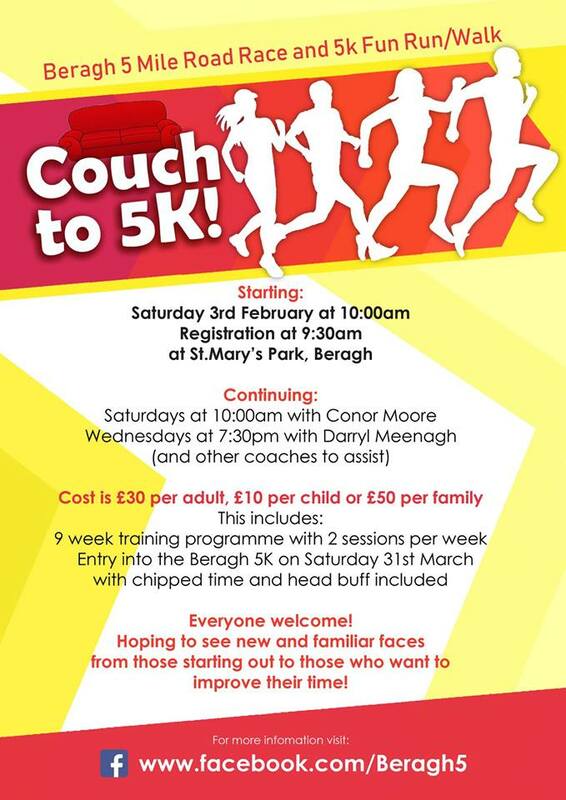 Get off the couch and get ready for the Beragh 5! 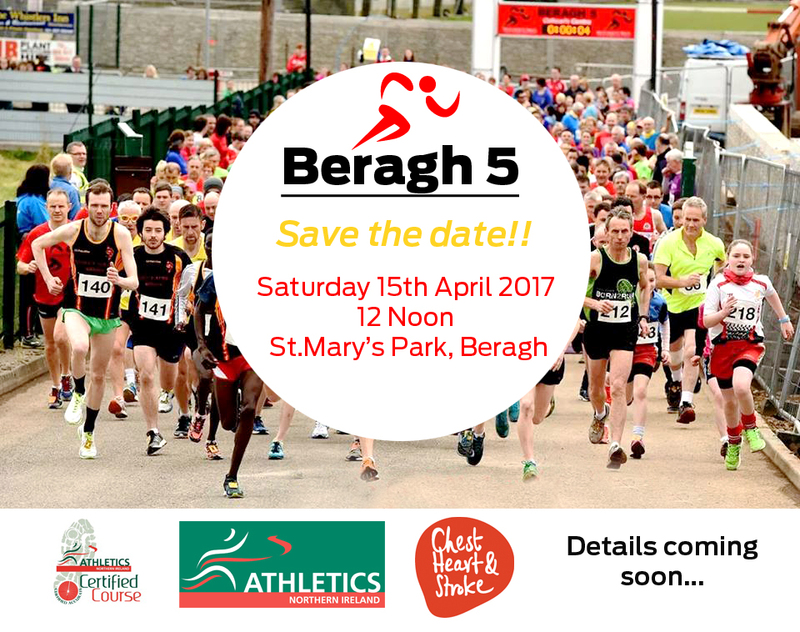 The Beragh 5 will take place on Sat April 15 this year, but the build-up begins this Saturday with the launch of a new Couch to 5K programme.